Name - This is required and must be 3-24 characters. Names are not exclusive. Tag - This is required and consists of 2-4 alpha-numerical characters. Tags are not exclusive. Description - This is optional and can be up to 256 characters long. Use this to describe your Platoon however you see fit. 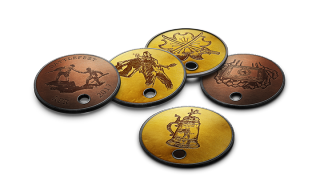 Emblem - You can choose an emblem for the Platoon from your own personal Emblem gallery. The emblem is then “copied” to the Platoon, meaning that if you later update your own emblem, it’s not automatically reflected in the Platoon emblem. Open - Anyone can join the Platoon instantly. Apply-to-Join - Anyone can apply; Platoon members with permissions can accept or reject applications. Closed - No one can join the Platoon while in this state. General - This is the highest Platoon rank and there can only be one General in the Platoon at any one time. The creator will initially get this rank, but can transfer it to someone else (which must be done if you want to leave the Platoon). The General has access to everything, including the option to change name, tag, and even disband the Platoon. Colonel - Colonel is the second-highest rank and has access to most Platoon management tools, such as editing the description, emblem, and the access type. This means they can step in for the General most of the time. Lieutenant - The Lieutenant is the lowest level rank with management permissions. Mainly their ability is to accept or reject Platoon applications, if the Platoon is set to “Apply-to-Join”, as well as link their Rented Servers to the Platoon. Private - Private is the initial rank any new member gets in the Platoon. This rank doesn’t give you access to anything, besides the fact that you are now a member of the Platoon and can represent it and join other members playing. As a rule of thumb, you can always promote someone else to one rank lower than your own, and demote or kick members that are one rank or lower than your own. Rank permissions also always stack, so if you’re promoted you can know for certain that you have the same access as before – and more. Find & Join - Platoons is all about playing together. In the “Find Platoon” section, you will sometimes get a list of recommended Platoons to join, which is currently based on other Platoons that your friends are representing. Once you’ve found a Platoon, its access type will determine how easy it is for you to join. Maybe you can simply join it right away, or you must apply. If you’re unlucky it’s closed, and that’s that. 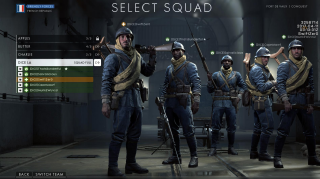 Representing and Playing with Your Platoon - For many players, representing your Platoon is what it’s all about and we have tried to make this process easy, smooth, and awesome with the new system. First, you can always only represent one Platoon at any given time, and you can also choose not to represent any. You will retain your membership and rank in the Platoon; it’s basically just something you toggle. 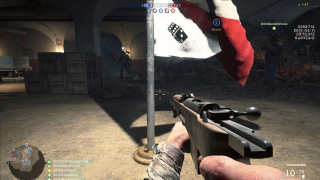 When you represent a Platoon, its tag will automatically be displayed in front of your name and its emblem will automatically be displayed wherever your emblem is usually displayed. This essentially “overrides” your equipped emblem; when you represent a Platoon, we want you to really represent it. 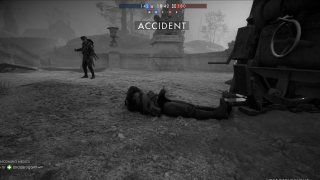 If you’ve ever played as a Medic, dashing through hailstorms of bullets and explosions disregarding your own safety to get to a fallen team mate, only to have them “skip” at the very last second, you know how frustrating it can be. If they decide to skip anyway, they didn’t deserve to be saved in the first place. 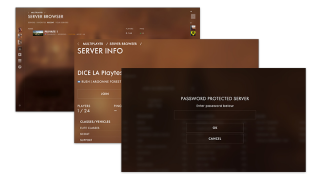 Just as with the other parts of the game, server administration functionality is something we will continuously improve over time. This is the beginning. Please keep giving us feedback on what to improve next. Complete special weapon assignments to unlock each weapon. 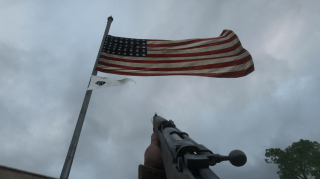 We brought in the Ribbon system from earlier Battlefield titles with the Winter Update. 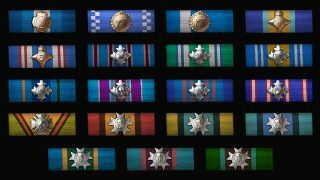 We’re very happy with how it turned out, so with the Spring Update we’ve decided to expand the system by adding 19 new Ribbons. The focus with the new Ribbons is to promote teamwork. You will now get Ribbons for performing tasks such as spotting, reviving, resupplying, repairing, healing, and more. Frontlines - Fixed issue where combat areas weren't activated during warmup, meaning you could go out of bounds. Frontlines - Fixed issue where timer would not start. Longest game recorded was over 3.5 hours long. Fixed an issue which allowed players to get on top of a bunker they shouldn't be on top of. Operations - Update to intro camera. Operations - Made Elite pickups disappear once the defenders won a battalion. Conquest - Readjusted the spawn locations to avoid spawning near enemies. 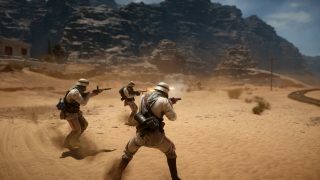 Conquest - Adjusted the capture area sizes of A, C and D.
Conquest - Hero kits will be spawned at the HQ of the losing team, if the enemy team owns all capture points. Conquest - Adjusted the combat area around the German spawn. Rush - Moved the first MCOM in the 3rd sector closer to the attackers and adjusted some spawn distances due to high rate of successful defenders. Rush - Adjusted the spawn locations for better balance. Rush - Added additional cover in the 3rd sector. Conquest - Fixed issue where players could capture C from an unintended position. Operations - Fixed issue where players could spawn in the Behemoth before it was ready and later got teleported back. Operations - Adjusted some of the capture and spawn points for better balance. Conquest - Reduced the number of planes from 3 to 2 per team. Conquest - Changed size of capture area of A and D point. Conquest - Swapped B and C flag. Conquest - Moved motorcycle out of bush near team 2 spawn. Conquest - Moved spawns back for team 2. Conquest - Added spawn area AA guns for both teams. Conquest - Removed an MG position that wasn't supposed to be usable. Rush - Weakened defense on first and third sectors based on community feedback and telemetry. Rush - Moved the attacker tank from the first sector to the third sector. Operations - Added an additional AA gun for the defenders on the last sector to balance the attackers' vehicles. Operations - Tweaked balance based on feedback and telemetry. Conquest - Fixed a bug around one of the field guns and fixed an issue related to spawn camping. Conquest - Adjusted the size of some of the capture areas (made them bigger in general). Conquest - Reduced the number of tanks from 4 to 3 per team and moved one of the 3 tank spawns to the closest capture point (A and E). By this, the enemy team can deny them and influence the tank situation on the map. It also adds more value to points that get less attentions by the players. Conquest - Increased the tank respawn time to add more value to their use. Conquest - Reduced the airplanes per team from 2 to 1. Conquest - Reduced the hero kit spawn respawn time. Rush - Weakened the defenders by adjusting their spawns in the first and third sectors. Rush - Fixed an issue where players could spawn outside the combat area. Operations - Changed the tickets from 250 to 350. Operations - The Howitzer in the first sector now spawns after 5 minutes of the first battalion. Operations - Tweaked the weather on Verdun. Conquest - Adjusted some of the capture and spawn points for better balance. Conquest - Adjustments the Hero kit spawn delay. Fixed issue where the weapon skin "The Seaforth Highlander" was misspelled as "Higlander". There can be only one. Fixed issue where other classes than Medic could show up in the "Nearby Medics" list when dead. Can still appear in some rare cases. Players with a connection above 100ms will have to lead their shot as server side hit detection is performed, indicated by icon in upper right corner. intro video caused a freeze at black screen after the video.